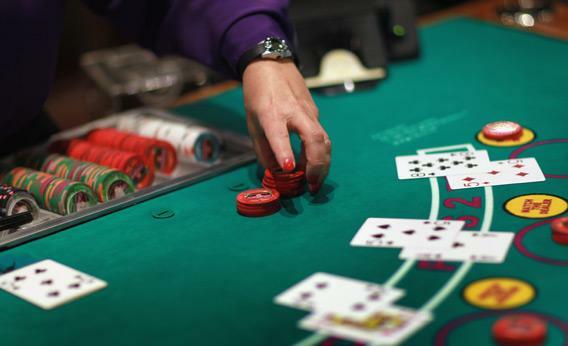 Roulette is one of many games where winning and losing is down to pure chance and luck. Whilst card games often have a huge element of strategy to them there is no way that you can influence where the roulette ball will fall. You make your wagers ahead of spinning the wheel and, if you’re lucky, you get a good outcome. However, whilst this chance aspect could work against the game, it has actually made it one of the truly loved casino games, as you really are putting your hands into fate and hoping for a lucky streak. There are no real strategies for beating roulette and you should not consider advice or books which promise to unveil a true way of winning the game with strategy. The best way to pull the odds in your favor is use to common sense with your wagers, using a variety of low and high risk bets so that you make some money whilst not losing your entire bankroll in a few swift moves. These are the casino games where the symbols actually appear on reels that spin when you pull the lever or press the start button. Online, these are the games with three reels. Either way, they come in a couple of different flavors . . . There are what i call “classic slots” where there is a single payline across the center of the slot, and playing more than one coin at a time lights up a different paytable. These are usually two or three coin machines. Then, there are multiline slots. On these machines there are three or five paylines, and it takes one coin to activate one payline. So, if you’re playing a three line slot, to activate all three paylines costs a wager of three coins. Video slot machines are the games at the casinos that have the television/computer screens with the symbols displayed on them, instead of on reels. Usually these games have five reels, but sometimes they have more and these machines often have a lot of paylines.